New: Added warning when opening Cinavia protected DVD discs. New: PathPlayer will be disabled automatically when it has problem with certain old discs. Fix: A freeze problem when opening "127 Hours" with PathPlayer enabled. Fix: A jumpy playback problem for iPod/iPhone/iPad conversion when CUDA encoder is used. New: Added support for AACS MKB v23. New: Added option "Create .miniso file in output folder to be mounted by DVDFab Virtual Drive". New: It's possible to create .miniso file when copying Blu-ray disc, or from existing Blu-ray folder. New: Improved copying speed up to 200% for certain discs with many small m2ts files. Fix: A freeze problem when copying certain discs, like "The Vampire Diaries". Fix: A very long scan time problem for certain discs. New: Added "to M2TS" and "to TS" in navigation bar. New: Added several new profiles (H.264 and AC3) for M2TS/TS output. New: Added subpicuture "Remux into file" option for M2TS/TS output. Fix: A wrong audio channel problem when converting to MKV file with AC3 audio stream. New: Added "Output two seperated files" option. Fix: A crash problem for "Output two seperated files" when using CUDA encoder. Fix: A freeze problem when converting certain 3D discs, like "Dolphins and Whales 3D". Fix: A problem that the DVD subtitle is hard to read in certain cases. New: Improved demuxer a lot, many problem files can be opened now. New: Original source resolution will be used as default output resolution if it's allowed, to avoid resizing. New: Audio encoding bitrate will be saved to default profile now. Fix: "Deinterlacing" detection doesn't work. Fix: "Deinterlacing" doesn't work when user enabled it manually. Fix: MP4 title tag can contain non-English character now. 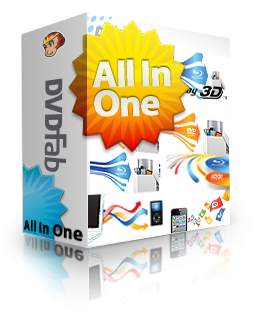 Disitusnya untuk mendapatkan DVDFab All-In-One 8.0.8.2 Final Full Version Rilisan 15 Maret 2011 anda harus membayar $299 ,Nilai yang Besar sesuai dengan Fungsinya yang Paling Lengkap dari Produk DVDFab lain dan merupakan rilisan terbaru yang mencakup semua dalam satu. 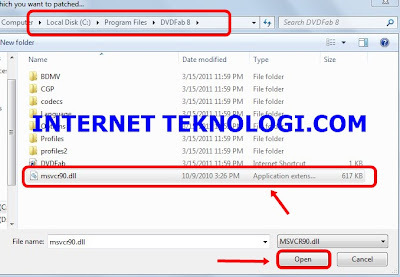 Silahkan Download DVDFab All-In-One 8.0.8.2 Terbaru Full Version Rilisan 15 Maret 2011 Trial Disini , Lalu install sampai selesai. 0 orang berkomentar on "Download DVDFab All-In-One 8.0.8.2 Final Full Version Rilisan 15 Maret 2011"